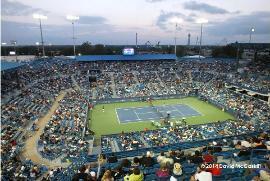 What's Going On : W & S Open 2015 "Year of the Fan"
returns to the Lindner Family Tennis Center in Mason, Ohio, August 15-23.
women in the world (active, non-injured). 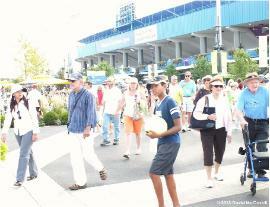 players, and a 'must-attend' event for tennis fans from all over the globe." Palomino to the roster of the eateries in the popular food court. tournament champions Maria Sharapova and Victoria Azarenka. 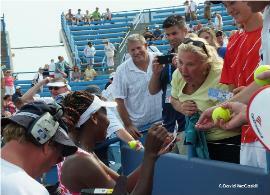 appeared in the Western & Southern Open final four times. Slam tournament (Marin Cilic, Djokovic, Federer, Murray, Nadal and Stan Wawrinka). four men will be granted wild cards to join the 56-player fields. To see players to compete in 2015, click here. Tickets are on sale now at www.wsopen.com for the 2015 event.